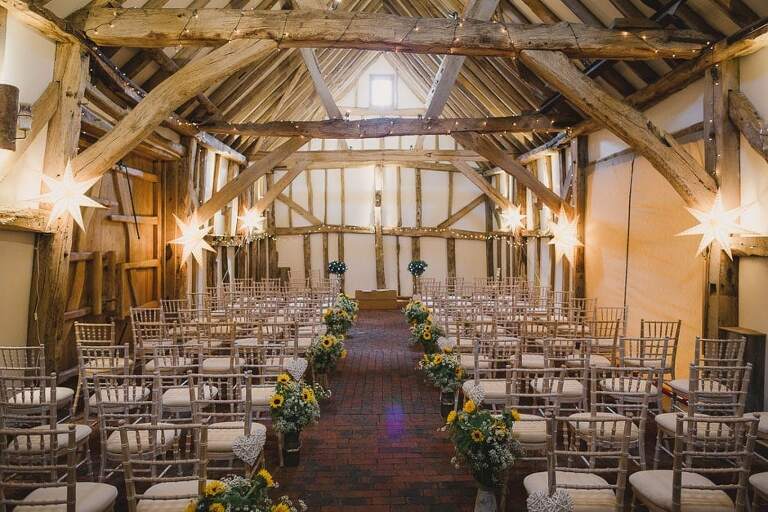 Since its refurbishment in 2011 Old Greens Barn has become an increasingly popular venue for wedding events. Situated in an idyllic countryside location overlooking a beautiful fishing lake, Old Greens Barn can be found in the tiny yet quaint Surrey village of Newdigate, between Dorking and Horsham, and with convenient transport links to London, Gatwick and the South East. 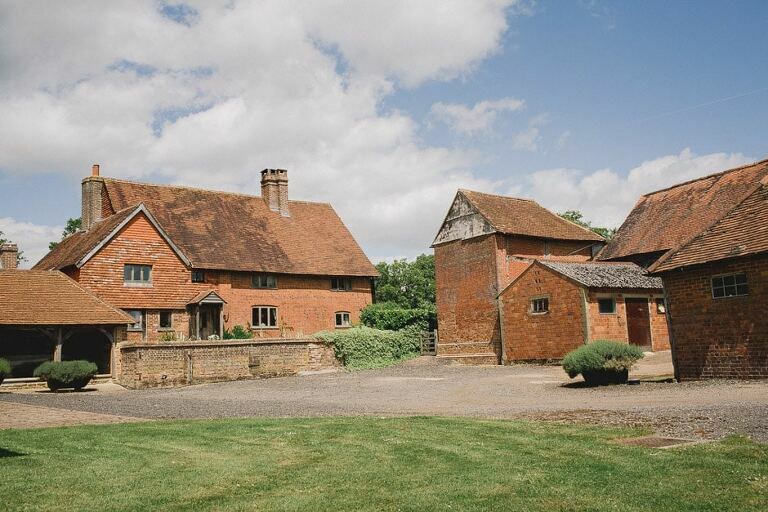 The farm itself is steeped in history, dating back to 1309 and believed to be the second oldest farmhouse in Surrey, Old Greens Farm consists of 220 acres of natural agricultural woodland. Its current owners acquired the land in 1997 and have since restored the Barn in conjunction with English Heritage to run as a family business. The finished result is a traditional barn with a rustic warm atmosphere. With its timber beams and local brick flooring, the barn has been converted into a versatile 150 sq.ft function area which can be adapted to suit individual requirements. Its authenticity can be maintained by using hay bales as furnishings or alternatively the barn can be decorated with lighting schemes and colours to blend in with a theme. Additionally, an oak frame with a khaki coloured canvass can be wheeled outside. This, together with a quirky shepherd’s hut blends well into the outdoor surroundings to provide a captivating setting for photographs. 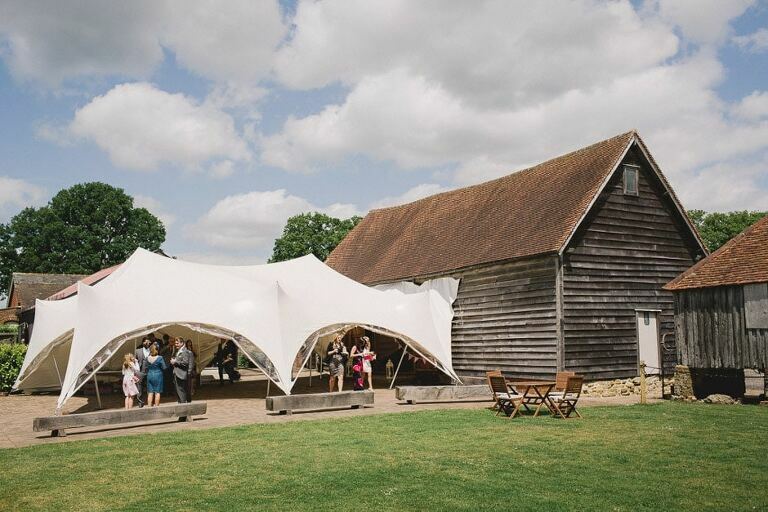 The barn is situated amidst sufficient land to house extra marquees as provides a dedicated food preparation space and ample parking facilities for any size of wedding celebration. The Barn and its wonderful country location guarantees the perfect opportunity to create a fun, informal, celebration space. A tranquil environment where children can enjoy the peaceful surroundings with perhaps outdoor games, a barbecue or bouncy castles, adults can enjoy a countryside stroll, and everyone can appreciate the scenic beauty of the adjoining lake with its stunning views. 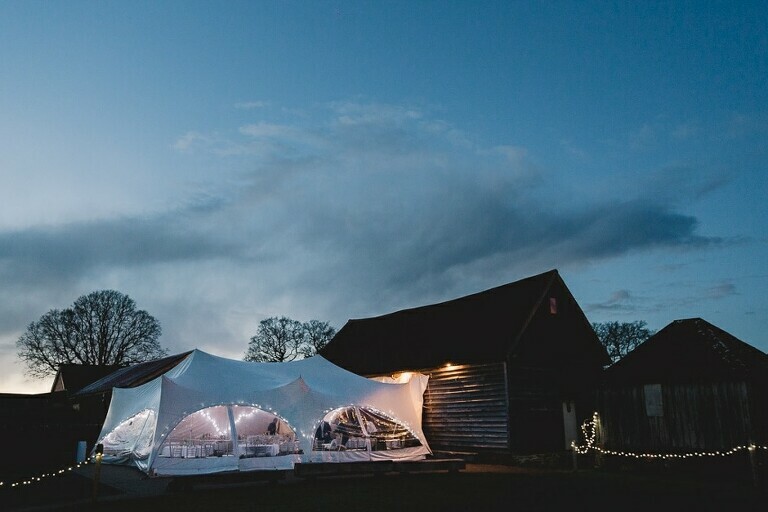 There are a number of beautiful barns in Surrey that are popular wedding venues. If Old Greens Barn isn’t quite what you’re looking for, then why not have a look at some of the other options available? 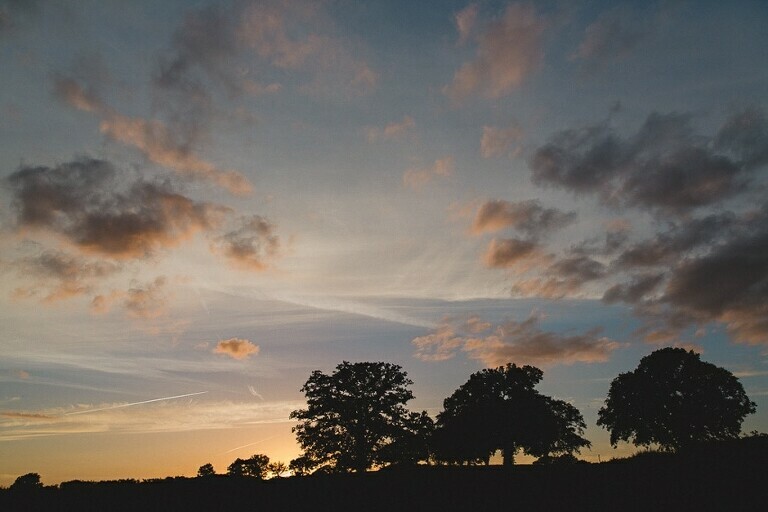 Address: Greens Farm, Rusper road, Newdigate, Surrey, RH5 5BE. If you’d like to enquire about my availability for Old Greens Barn please get in touch here.